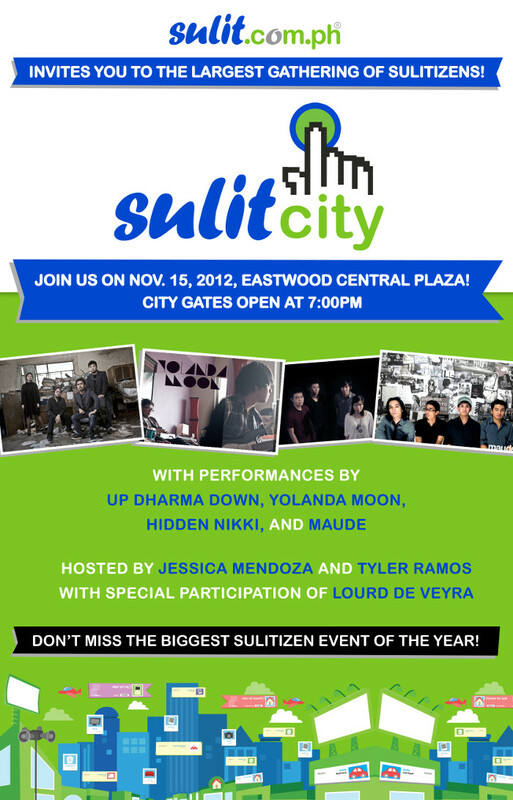 After the Sulit.com.ph first ever blogger event last October 24, 2012, this time you can join the largest gathering of Sulitizens (Sulit.com.ph citizens) on November 15, 2012 at Eastwood Central Plaza. Gates open at 7 PM. Entrance is free. It’s Sulit.com.ph’s way of showing gratitude for everyone who had consistently supported their campaigns and promos. So if you’re a registered member of the site, be sure to bookmark the date, meet other users of the site, and join the fun!